Gosh, there sure seems to be a lot of farewells in the aviation industry just lately, Brussel's RJ's, United's 747's KLM's Fokker 70's, Finnair's A340's to name but four. And just as soon as your eyes are no longer watering and you've dried your hanky, along comes another one! 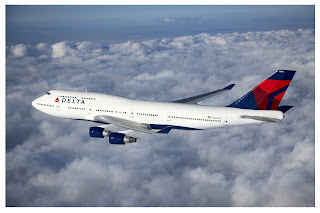 This time it is Delta that is saying 'so long and thanks for all the revenue' to their Queen of the Skies, the 747-400's. Yep, time to end the long run of the lovely lump, the jumbo, the big bird is rapidly coming to an end, but don't worry, there is still time to see and perhaps take part in some of the last Delta 747 flights – which are, Delta tells us, the last to be flown by any US passenger airline. Here are Delta's seven key things to know about the final farewells. Oh the eyes are already feeling a little moist at the departure from the skies of the 747-400 from Delta airlines. The 747 held a special place in the heart of many an aviation enthusiast as well as traveller, it was a true game-changer, long before that expression was in common use! It undoubedly helped to introduce mass travel, lower fares and ensure air travel was within reach of more than just the rich. 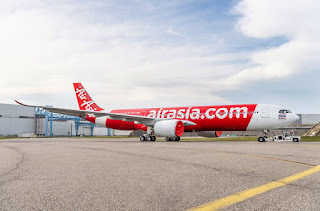 It held a special place in the hearts of all, for its elegance and rugged reliability yet still managed to hold on to a touch of the romance of travel that seems so far removed from our more modern times and the technological wonders that take to the skies these days.